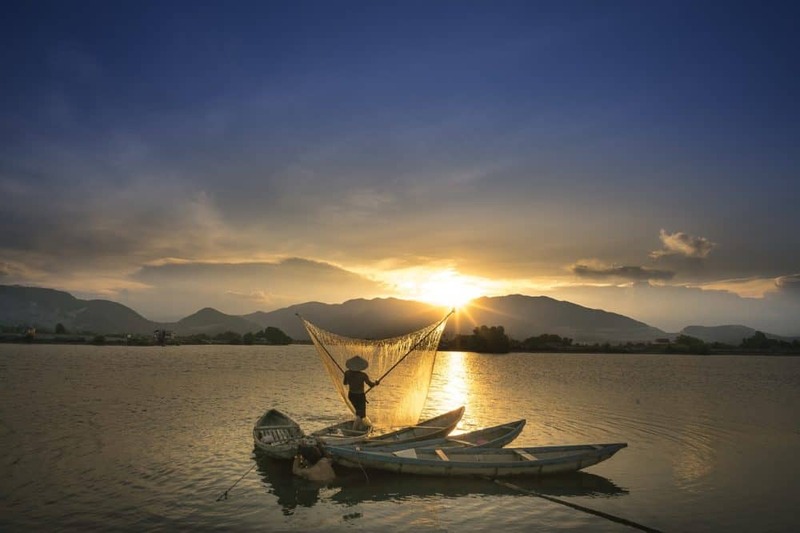 Discover Asia in the best way possible by going on this twin-centre tour to the delightful duo that is Vietnam and Cambodia. 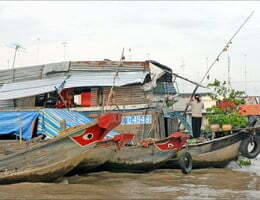 The delights of Vietnam include Ho Chi Min and Cambodia’s charming Angkor Ban. You’ll be sailing on an all-gay luxury charter. 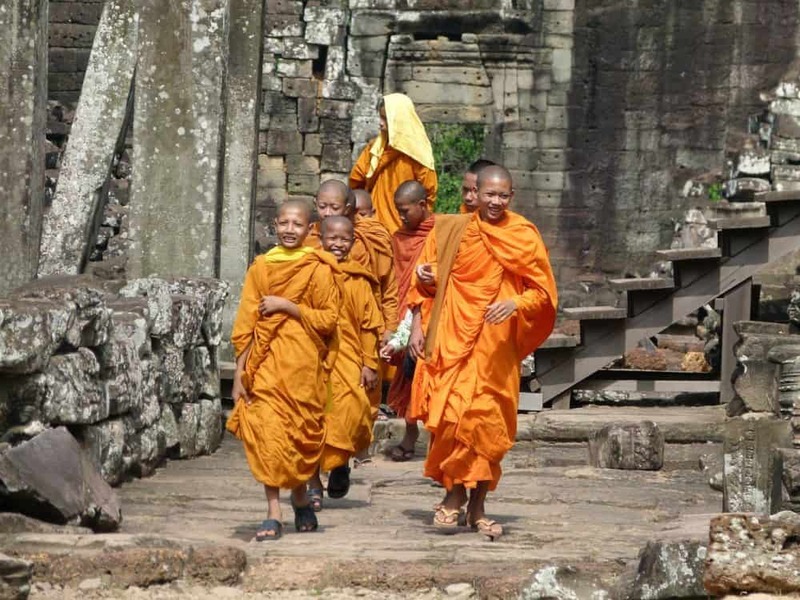 After having settled in your hotel, your adventure begins at Angkor Wat, Cambodia’s most well-known landmark and the biggest religious settlement in the world no less! 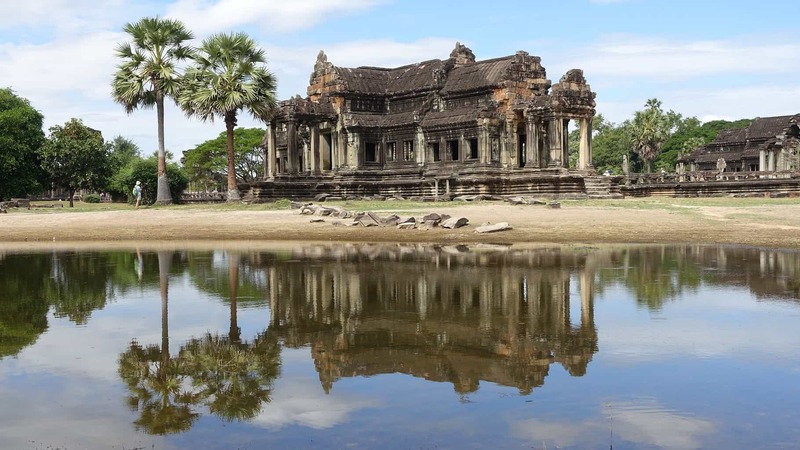 Not only this but you’ll be able to discover the many things that the city centre of Siem Reap has to offer on a traditional tuk tuk; in addition to the captivating culture at Banteay Srei and Banteay Samre, two terrific temples dedicated to the Hindu Gods. Your time in Siem Reap goes out with a bang at the tremendous Ta Prohm. After a relaxed morning to yourself at your hotel, you’ll travel to Kampong Cham and then embark on a voyage down the Mekong River to take in the majestic views. You’ll also get to experience a traditional Buddhist Water Blessing at the Wat Hanchey monastery followed by a drive through the city of Kampong Cham to see the magnificent Stupa, the 10-meter long reclining Buddha, and the 13 meters tall preaching Buddha. Today you will get to experience authenticity at its finest with a visit to the houses of the local people of the quaint town of Angkor Ban. In addition to witnessing the lifestyle of the locals, you’ll also get to see a typical day of many of the children learn as you’ll visit a local school. 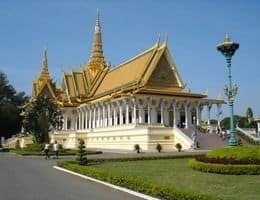 Your day begins exploring the grounds of the Royal Palace Complex which is set along the ravishing riverfront after which you’ll visit the Silver Pagoda, home of the Maitreya Buddha and Cambodia’s Emerald Buddha. Following from this you’ll get to see the largest collection of Pre-Angkorian and Angkorian artefacts at the open air National museum and then a relaxed afternoon in Phnom Phen. Your day begins cruising along the Mekong Delta to discover the temple of the Cao Dai faith, one of the unique amalgam religions in Vietnam. After this discovery, you’ll jump on a traditional Vietnamese Tuk Tuk to a family owned weaving workshop. Today you will begin your journey to the historical town of Sa Dec, where you will visit the residence of Mr. Hyun Thuy Le, the man who gave inspiration for Marguerite Duras’ novel, L’Amant (The Lover), and take a wonderful walk through the town’s market. The latter part of your day will see you visiting a traditional rice factory where you can see the production of lots of the rice products, such as rice paper. You’ll continue to sail along today, passing the beautiful French Gothic Cathedral of the city with a chance to see the floating market. From here, you’ll also experience a canal ride under the masses of coconut trees and a walking tour of the local handicraft village before settling down in the evening on the sun deck of the Le Salon Lounge for a farewell reception and dinner with the crew. 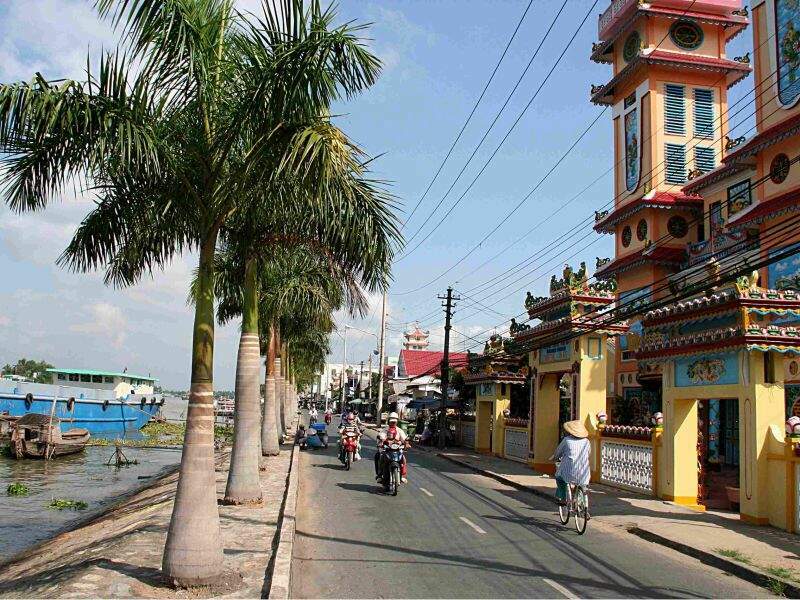 Your time in Ho Chi Minh starts with a terrific tour of the city’s fabulous French Colonial architecture of the Central Post Office and the Notre Dame Cathedral. 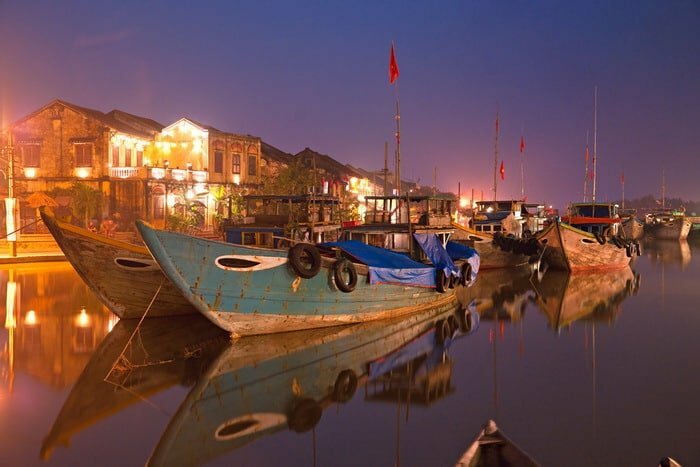 After which you’ll experience the underground passages with a tour of the Cu Chi Tunnels; followed by a farewell dinner complete with lots of multi-cultural cuisines full of colour and flavour; including classic Vietnamese, more exotic foods and traditional French. The next morning is your departure flight home. 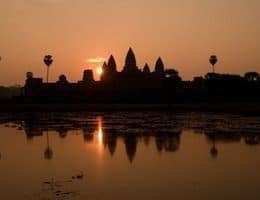 3 nights hotel accommodations in Siem Reap, including daily breakfast, two lunches and one dinner. 7-night cruise including all meals. 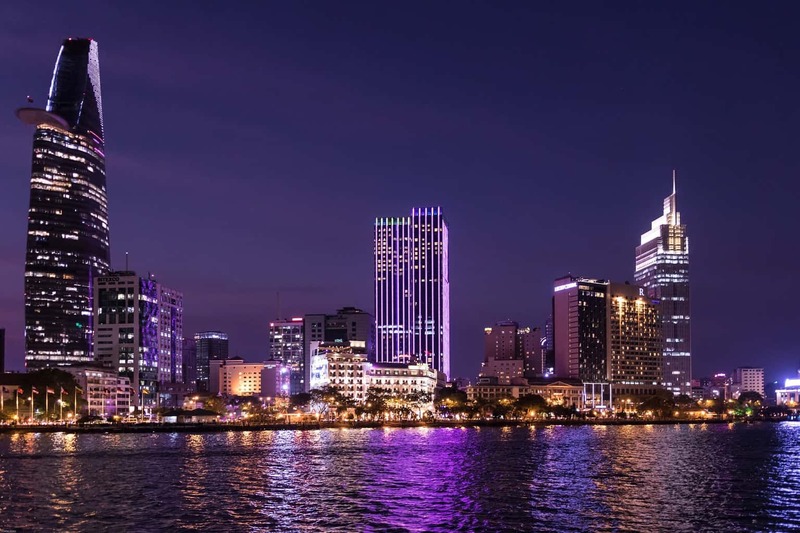 2 nights hotel accommodations in Saigon, including daily breakfast, one lunch and one dinner. Daily shore excursions and touring on land and cruise.